Over the years, our fruit pies have quietly become legendary. Our crusts are made in-house, and each one is shaped and crimped by hand. 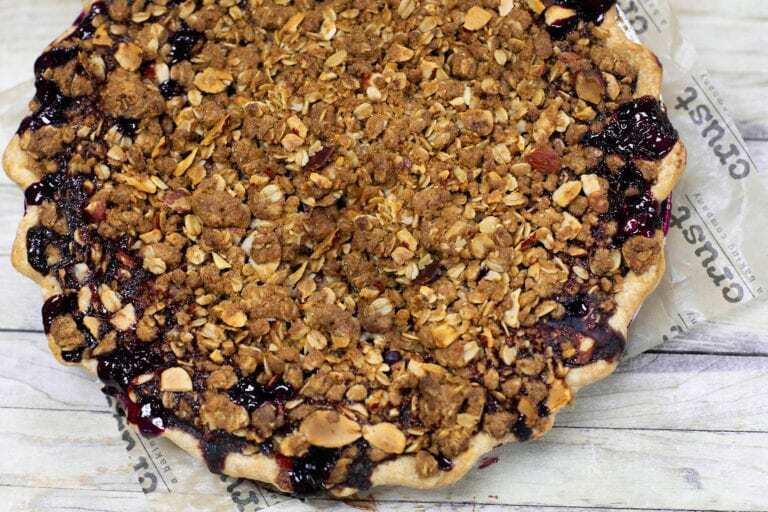 Our Blueberry Crumb-Top Pie holds over 2 pounds of blueberries – beneath a crumb top of rolled oats, sliced almonds, brown sugar, butter and spices; no canned filling here in our Blueberry Double pie. Just real fruit, sugar, natural tapioca for thickening, and a splash of fresh-squeezed lemon juice. No artificial flavors, chemicals or preservatives.